Glory Pax-Avis knows that strangers are dangerous. Strangers believe shape-shifters are witches. But there are no strangers in Glory’s life. The Last Druid cast shielding spells over Glory’s valley as he left to join the migrating Celts. Six hundred years later, the year is 1135. The place is the Border of England/Scotland where creatures of legend still roam the land. Glory’s life is ideal. She passed her 18th birthday without her father marrying her off to anyone. She doesn’t have suitors and she doesn’t want them. She‘s old enough to make some decisions for herself, and she has no husband to get in her way. Then her father dies. Suddenly, Glory is left with the responsibility of protecting her clan from discovery and from a neighbor who is trying to use witchcraft to take over her valley. Who can she turn to for help? Sir Huckelbard de Clermont, a war-weary Norman Knight, is the Captain of the Guard in the court of King Henry. Though not old in years he is tired of life at the court. The courtiers are disingenuous and greedy. Their ambition kills their humanity over time. The women are beautiful but jaded. Beneath their surface, every woman he knows wants him for his closeness to King Henry, not for himself. Even the battles his whole life has him trained for now seem tedious. Woven into Sir Huk’s Norman blood and his Mother’s Anglo-Saxon and Briton heritage are the wisps of forgotten Celtic ancestors. With his odd second-in-command, Sir Morph, Sir Huk is sent to Glory’s aid. Do these strangers hold Glory’s clan’s survival in their hands? Or … if she trusts them will it lead to her clan’s ruin? What an inconvenient time for romance. 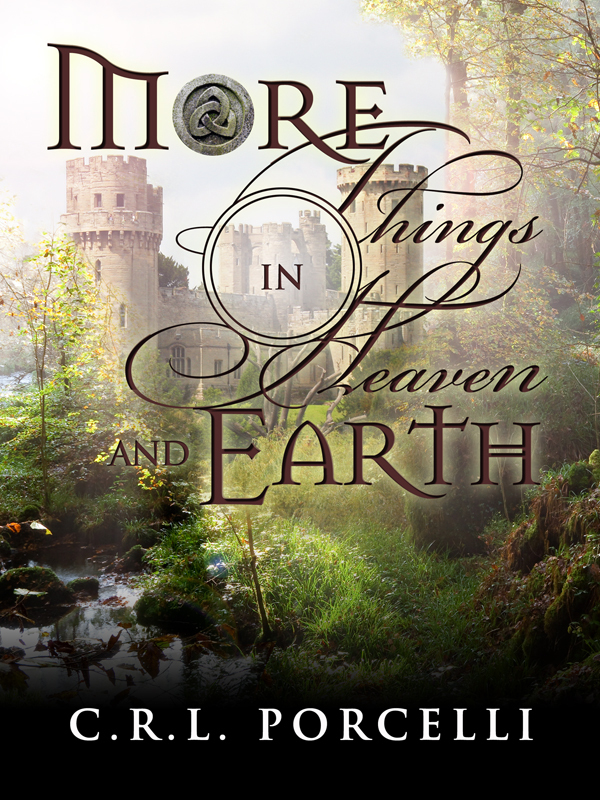 You can purchase the book online from Amazon at http://www.amazon.com/More-Things-Heaven-Earth-ebook/dp/B00AJE7WMG.